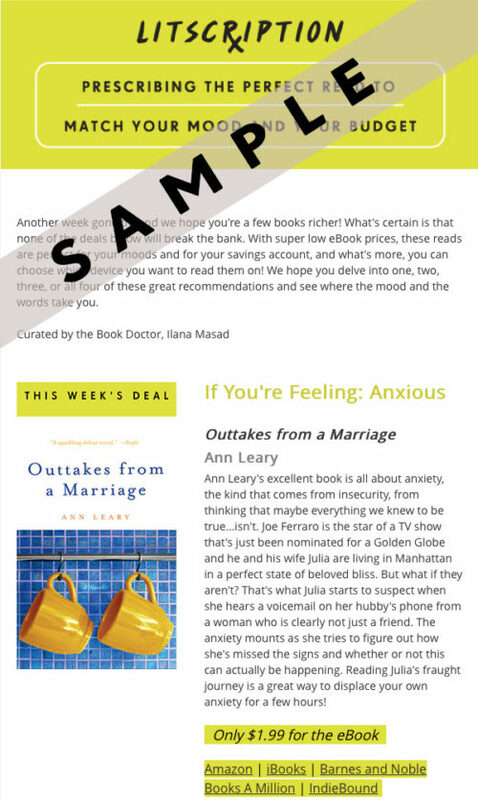 Litscription delivers reading recommendations that fit your mood, prescribed by our own book doctor, straight to your inbox. These books not only provide cures to your feelings, but they also come at a low price (many as low as $1.99!). Sign up now to start getting your weekly litscriptions!